The photo shows a large two storey, double fronted house with a cast iron verandah. 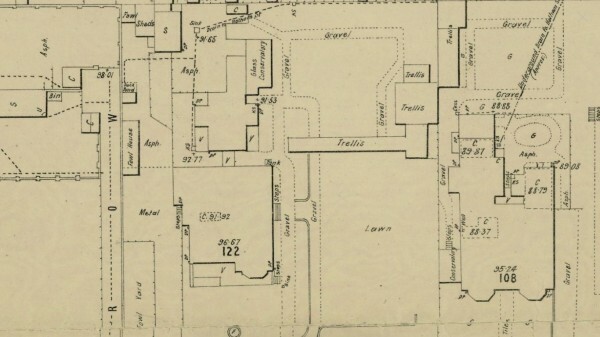 Although it is hard to see, the accompanying detail from the MMBW plan of 1898 shows the windows to the right hand side of the photo to be bay windows. A path led down the side of the house to the main entrance. The house was built in 1875 for Alexander Balcombe. In 1854 Balcolmbe had built a timber house on the site and when the new house was built in front of it it was retained to become a separate kitchen wing. 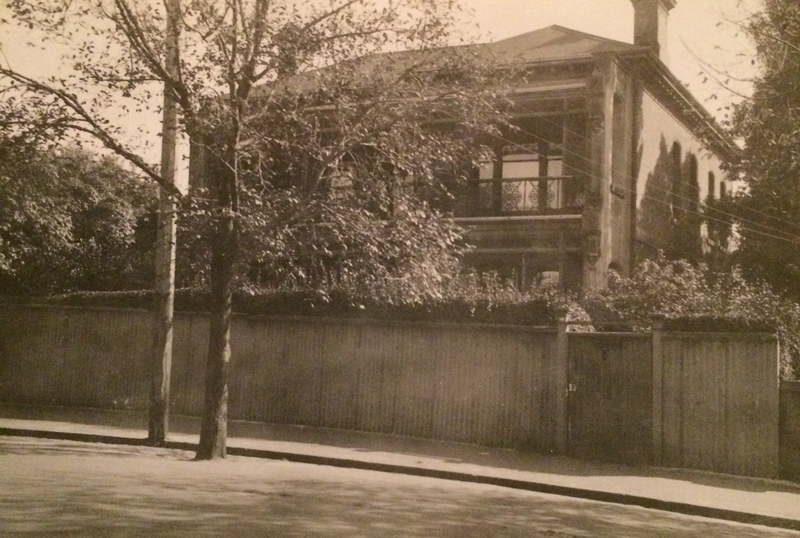 The house at this time was known as Eastcourt. Alexander Balcombe died in 1877 but his wife, Eliza, continued to live there until 1907. Mrs Eliza Welch, widow of W H Welch of the Ball and Welch department store, was the next owner until it was bought by three sisters, Gwen S White, and Henrietta and Dora Serjeant in 1918. They renamed it Lanivet (emphasis on the middle syllable) after the town in Cornwall where the famly came from. Mrs White's daughter, Helen White inherited the property and in the 1950s she sold it to the Melbourne City Council when it was demolished to make way for the East Melbourne Library.